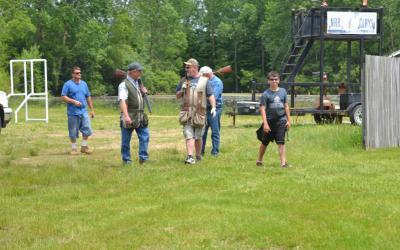 5 Stand is open to the public, you do not have to be a member to shoot. 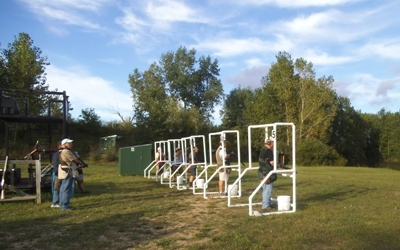 This is a game that offers a wide variety of targets, with 5 stations to shoot from and 8 different presentations, which include rabbits, midis, battues, and standard targets. Each station has varying menus which include single, report pairs, and true pairs. This is a game that all shotgunners will find challenging and fun, so come try it! Please note: Only target loads with #7 ½ shot or smaller (8, 9, etc) are allowed.